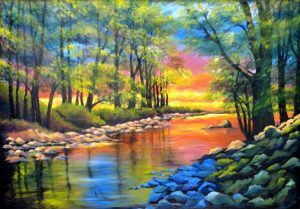 Colorful oil paintings inspired by nature. Spectacular blues of the skies as well as a rainbow of bright colors. Her preference subject is the beautiful landscape of North Carolina and Chile. 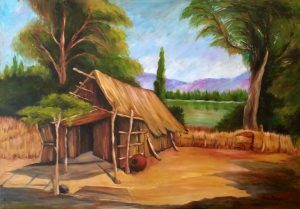 Acrylic and oil painting classes, Taught by Clina Polloni. Through the painting process she teaches the students painting techniques, color mixing, perspective, light and shadows, proportions in forms, drawing and much more. To develop their imagination and in the process their creativity. Welcome to Clina Polloni Portraits, where classic and timeless portraits of you and your loved ones come to life. Children, Family, Parents, Grandparents, Weddings and your loving Pets. North Carolina is such an inspiration! Oceans with tormented waters, surrounded by lighthouses that protects the pass of the ships. 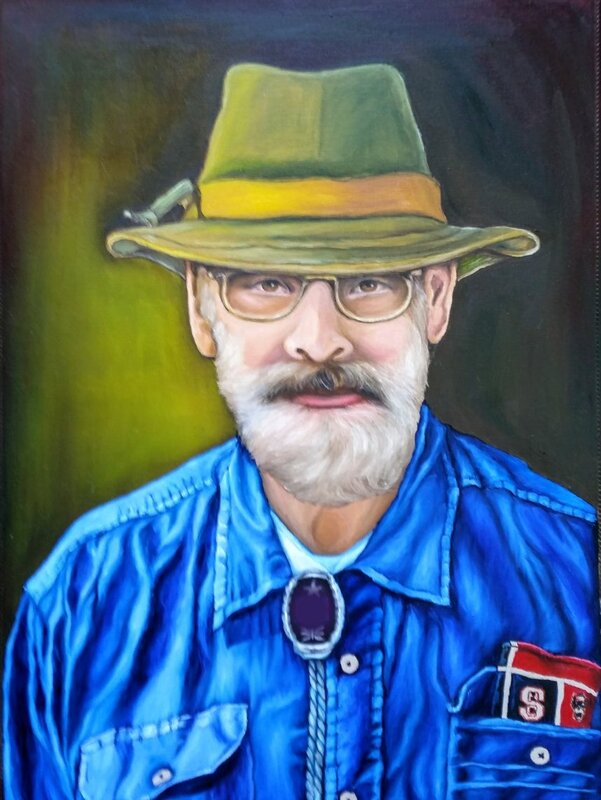 Oil paintings that tells the story of our state. After the cold days of winter. I can’t wait for the warm days of spring to see the pale daffodils or the purple irises emerging, green baby leaves appearing in the old oak tree and finally a rainbow of colors. I get my canvas, brushes, bright colors and go outside, seat in the purple chair and paint. When I was a little girl growing up in Santiago, Chile. My mother would go to the market, I could not wait for her to come home and bring the fresh vegetables and fruits. 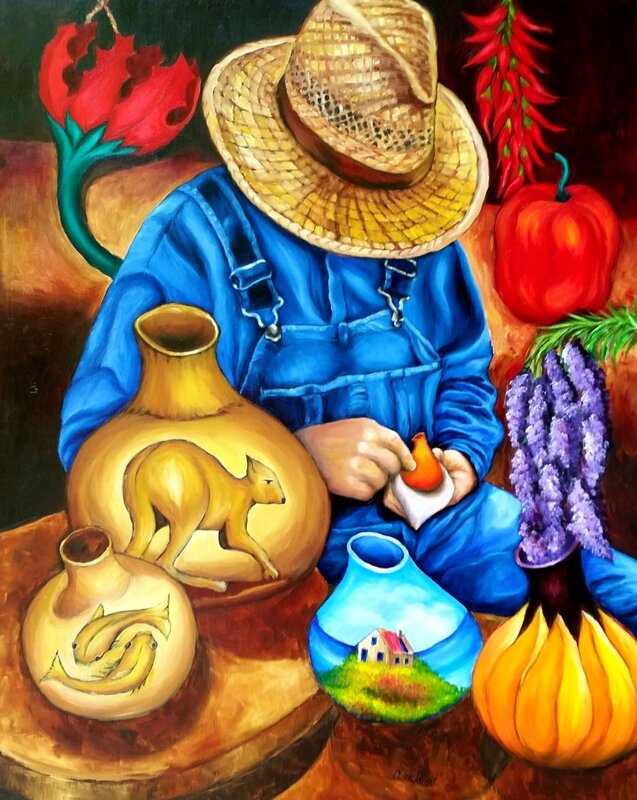 She would put the fresh fruits in a basket, vegetables in a plate, and I would seat on the table to paint. 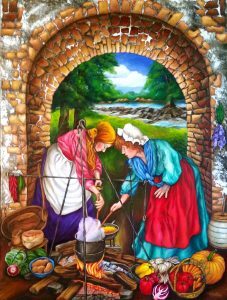 Welcome to Clina Polloni’s Site, A portfolio of Paintings. Clina Polloni is a contemporary artist born and raised in Chile. After graduating from the University of Chile in 1972, moved to Raleigh, NC. Clina’s love for the arts began when she was a child and was influenced by her great grandfather, Antonio Polloni, who was a celebrated Chilean painter. Clina lives with her husband Thomas C. Allen at “Marigold Plantation” in Franklinton, North Carolina. In this beautiful farm is where she has her art studio, exhibiting her paintings and providing painting classes. Her colorful oil paintings are inspired by her love for people, animals and nature, expressing her art through the canvas in oil painting. Clina enjoys impressionism as well as realism and was able to develop her own unique style. Equally at ease portraying the people of this land, surrounded by spectacular blues of the skies as well as a rainbow of bright colors. 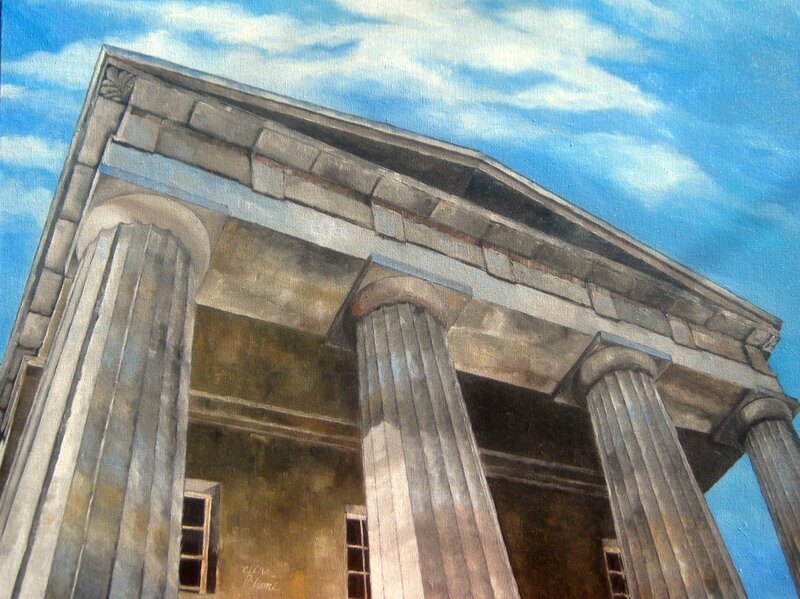 Clina’s art has been exhibit in many places, including The North Carolina State Capital. You can view her art by visiting the paintings section of this website. Clina’s paintings are for sale at Clina Polloni Art Studio and Gallery, The Renaissance Centre for The Arts in Wake Forest and The Franklin County Art Council, NC. Clina Polloni Art Studio and Gallery, offers and exhibit her original oil paintings. Provides professional painting classes, acrylics and oils. 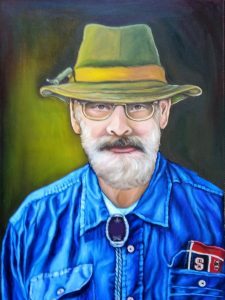 Commissioned portraits, landscapes, seascapes, flowers and still life. Located in Franklinton NC. Serving Raleigh, Cary, Durham, Wake Forest and the Triangle Area of NC. Visit her business website or contact us. For information about dates of painting classes, visit our Event Page.